The Boston University School Visual Arts Summer Institute offers high school students (ages 15–18) an intensive four-week visual arts program designed to help students build exceptional portfolios. Spaces for the 2015 program are still available, apply now! VASI students take college-level courses in Drawing, Painting, Sculpture, Printmaking, and Graphic Design, and are able to work on independent projects in individual studio spaces. In addition to classes and studio time, students visit and study works of art in area museums, participate in special workshops in new art media, and experience summer in Boston. Students earn three college credits at the program’s completion, and leave the program with photographs of their work ready to be included in their portfolios. Every VASI student accepted to the Boston University School of Visual Arts is eligible to receive a minimum merit scholarship of $2000, renewable all four years. VASI classes are held at the Boston University College of Fine Arts, located on the Charles River Campus. Faculty for VASI are drawn from the faculty of the School of Visual Arts and is comprised of committed artists who are exceptional teachers. 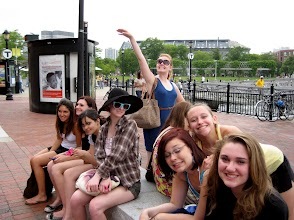 Want More Information about Boston University Visual Arts Summer Institute? Your request will be sent directly to BU College of Visual Arts: Summer Programs. By submitting this form I confirm that I am at least 13 years of age and give my consent to be contacted by BU College of Visual Arts: Summer Programs by email as well as by phone and/or mail (if provided).